Yes, Geo's hat can come off. Now you're not going to have to wonder about what's hidden under it for the next 100 or so strips. Whew. I bet you're relieved not to be put through all that. Eh? 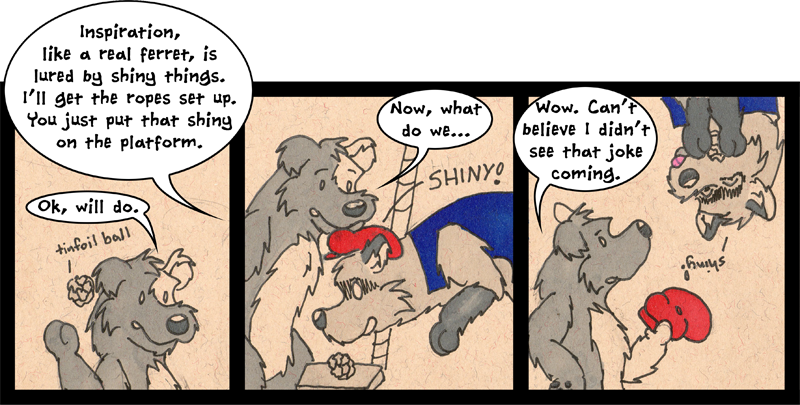 And this strips marks the end of the strips made for my test run (which I did to see if I should do this comic). Hope you enjoyed the first month and I hope you shall be served with snerks and snickers many months to come. Thanks for reading!